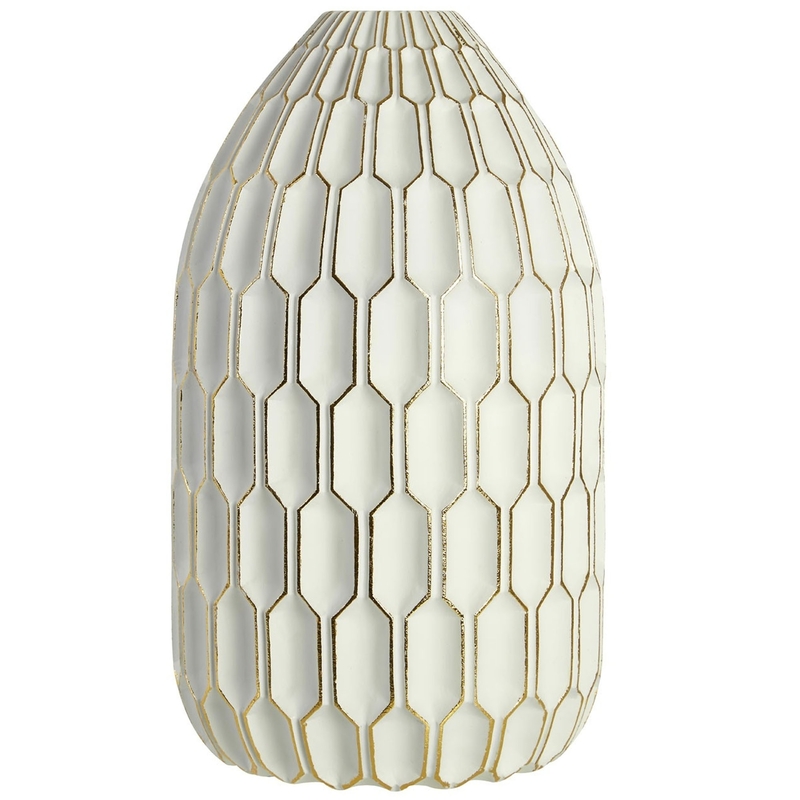 This is a gorgeous large vase with a stunning Complements design and striking white colour. This vase has a very unique design that's inspired by an art-deco style, given a modern and homely touch. This vase is created from polyresin and has been given a white colour to create a very warming and welcoming environment.